Rosenburg Elementary opened following Hurricane Ike, Oct. 7, 2008 in Galveston. Some students from Scott Elementary were attending Rosenburg instead. Other students were used Rosenburg as a way-station for transportation to other schools. 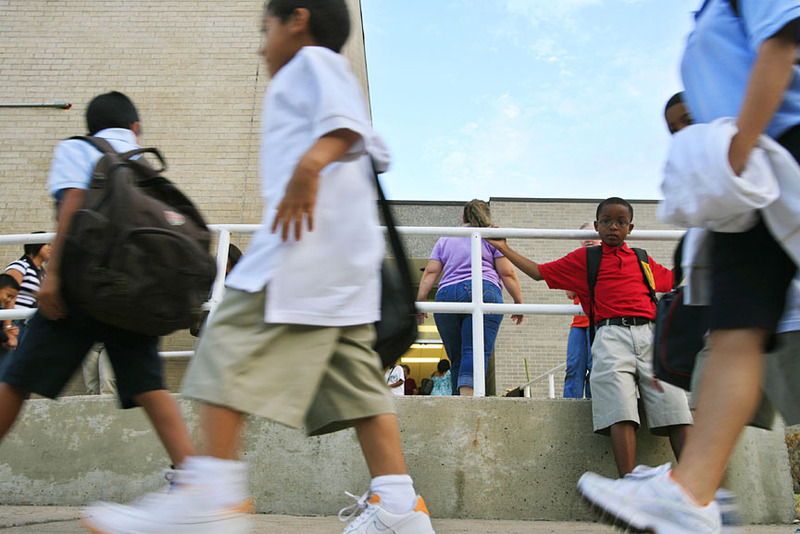 Michael Brown, 11, right, waits for a bus to transport him from Rosenburg Elementary to Weis Middle School. 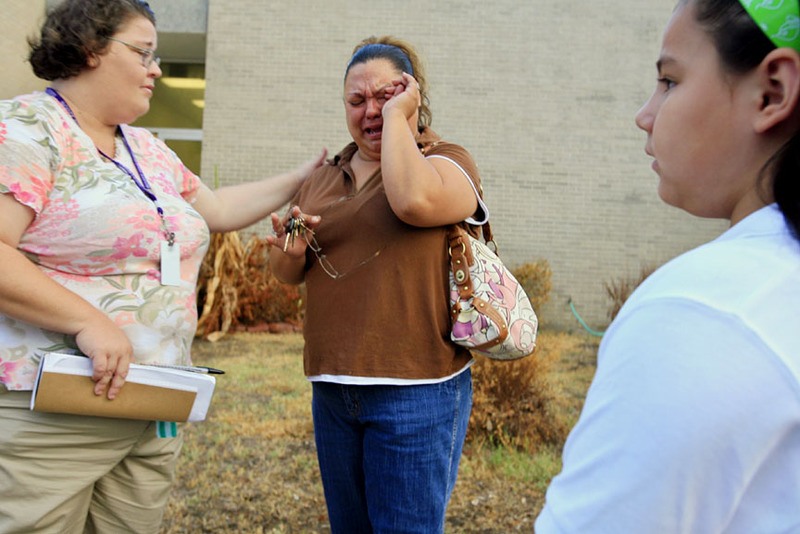 Cynthia Perez, center, comforted by computer lab teacher Connie Squiers, becomes emotional while thinking about having to bring her daughter Alyssa Gonzales, 8, right, to a different school. 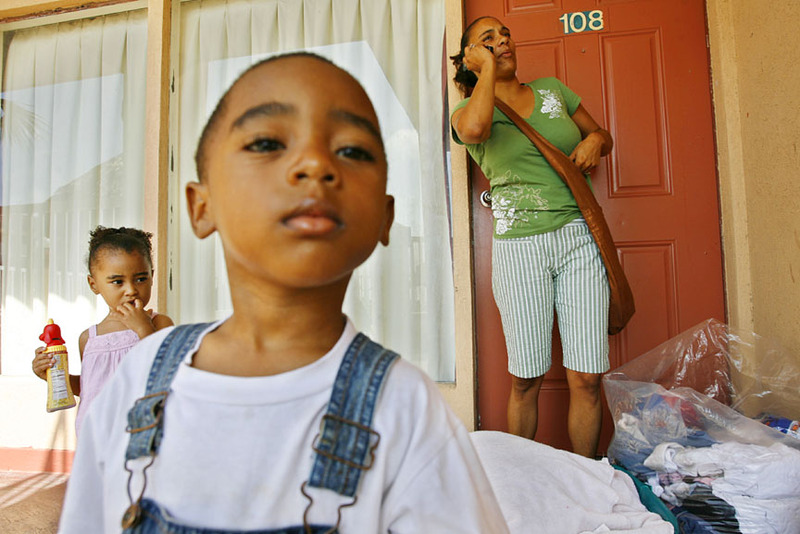 Denise Alvarado and her children Orhiana Evans, 2, left, and Oscar Evans, 3, have been staying in a hotel after Hurricane Ike destroyed their apartment in one of Galveston’s public housing complexes Oct. 13, 2008 in Galveston. 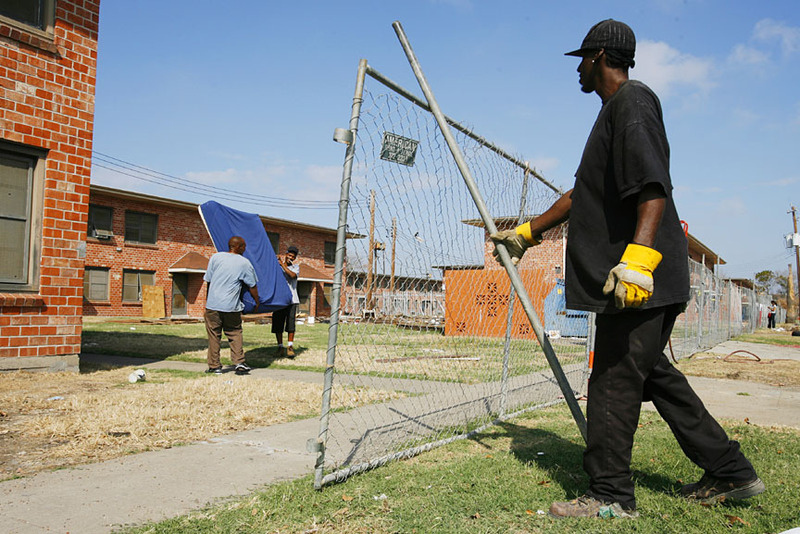 Rodney Sweeny and Michael Babrie move a mattress out of the Palm Terrace public housing apartments in Galveston Oct. 13, 2008. Sweeny had lived at the complex one month with his lady friend, who had lived there for 20 years. At right, Irwin Collins installs a fence around the complex to keep people out. 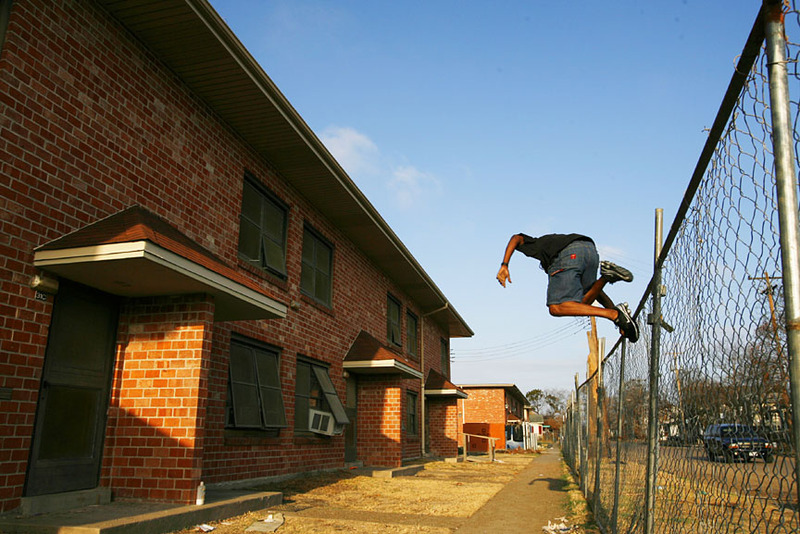 Andre Dickie jumps the fence at the Palm Terrace housing complex to retrieve his furniture Oct. 13, 2008 in Galveston. 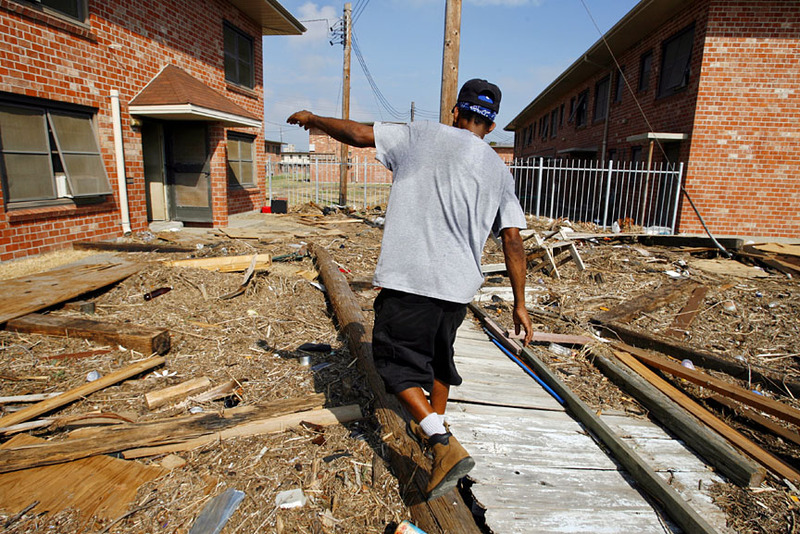 Rodney Sweeny walks to his apartment in the Palm Terrace public housing apartments in Galveston. 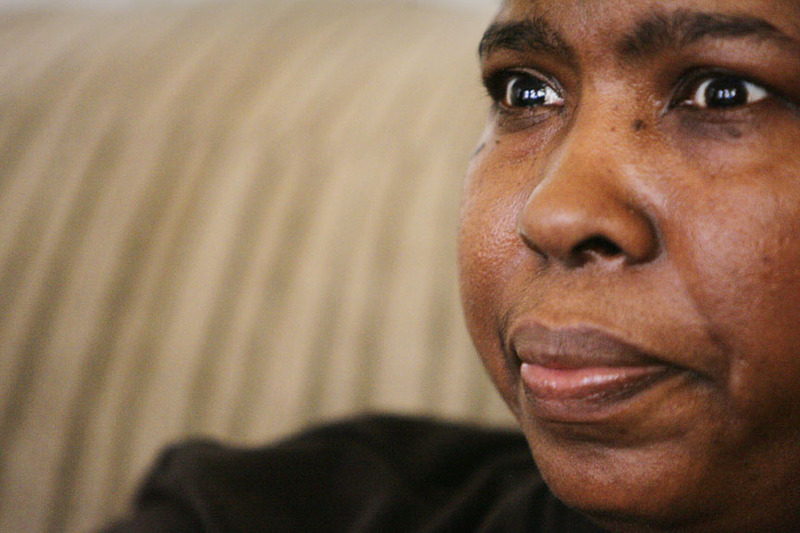 Sarah Horn, a former resident at the Oleander Homes housing complex in Galveston, talks to a reporter at her sister’s home where she currently stays . 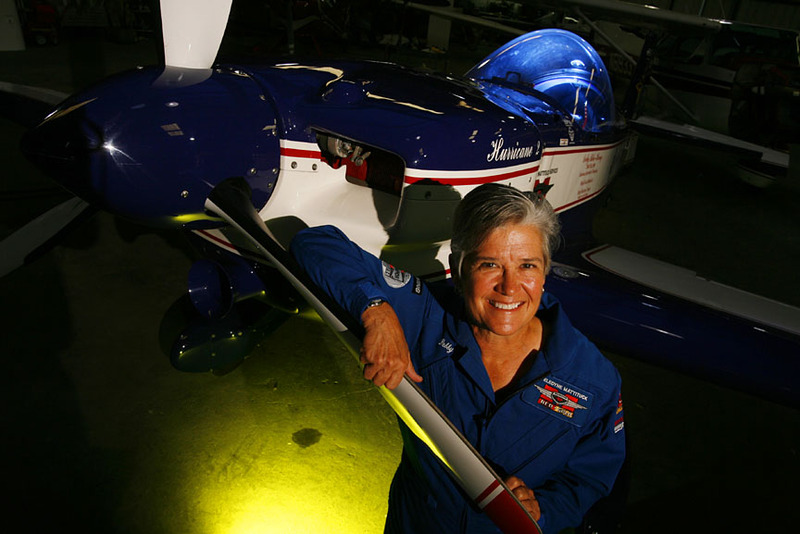 Debby Rihn-Harvey, who recently won the 2008 United States National Aerobatic Championships. 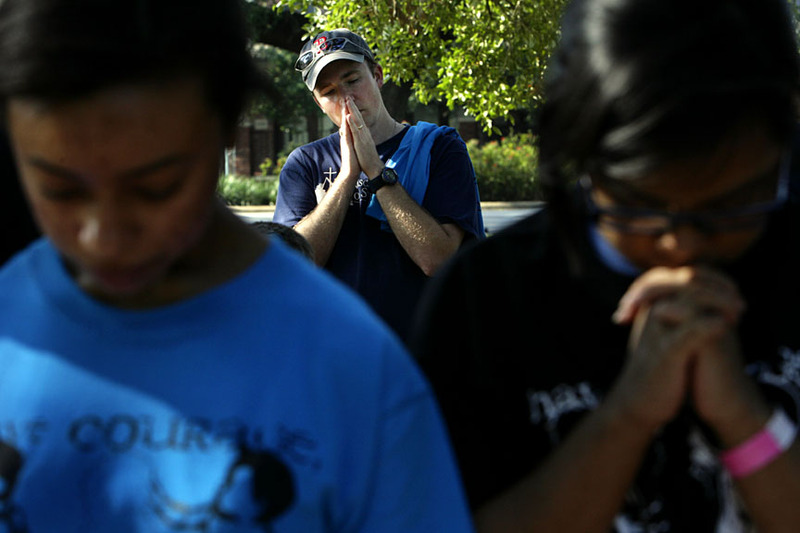 Kendell Bermingham, 17, prays during a song at the March of the Surviving Youth 2008 Oct. 11, 2008 in Houston. 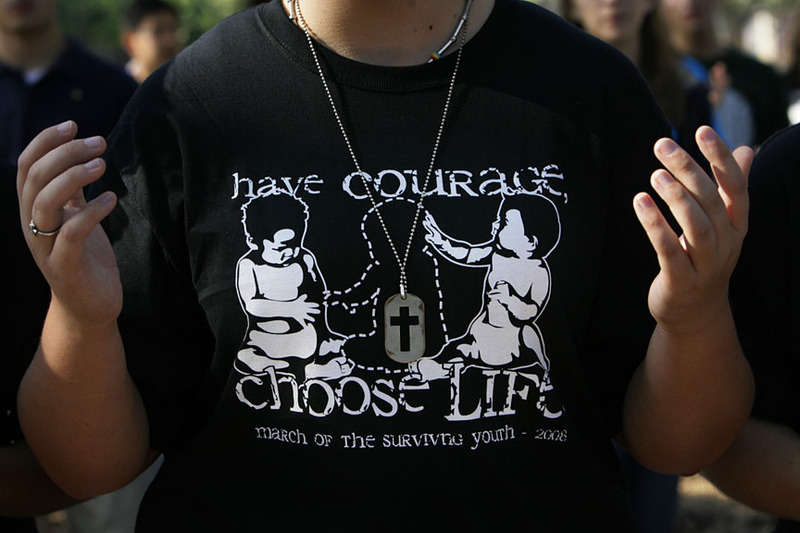 The group met at Elizabeth Baldwin Park in the third ward and planned to march and pray in front of Planned Parenthood near downtown Houston. Matt Regitz prays during a song at the March of the Surviving Youth 2008. 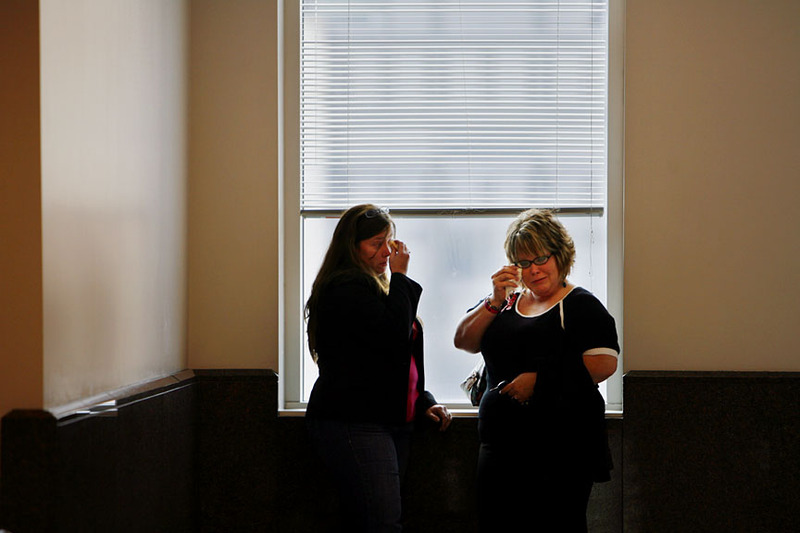 Peggy Volk, aunt of victim Macy Moyers, left, and Deana Moyers, right, mother of Macy, react after the sentencing of Bobby Davis Oct. 30, 2008 at the Harris County Juvenile Justice Center. Davis received 8 years in the Texas Youth Commission for his crimes. 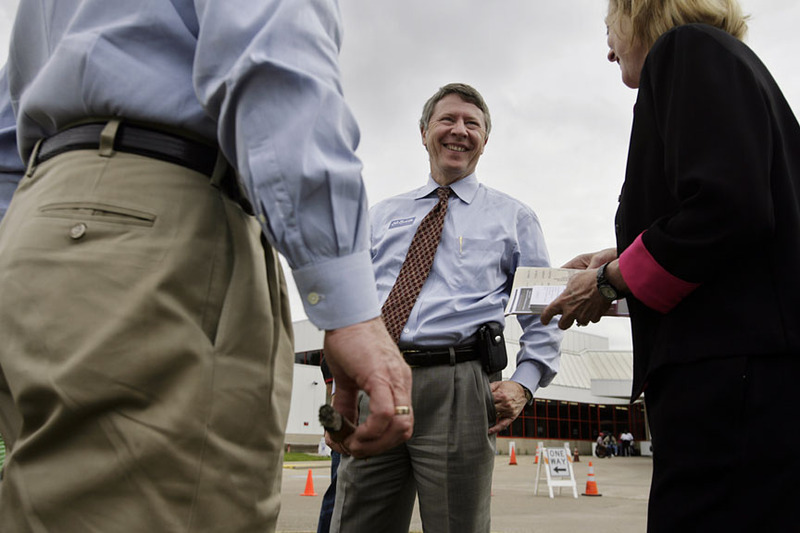 County Judge Ed Emmett talks with Sam and Georgia Akers Nov. 4, 2008 in Houston on Election Day at the West Gray Multi-Service Center, 1475 W. Gray. Georgia Akers is running for Harris County Probate Court No. 1. Emmett is running for re-election for Harris county judge. 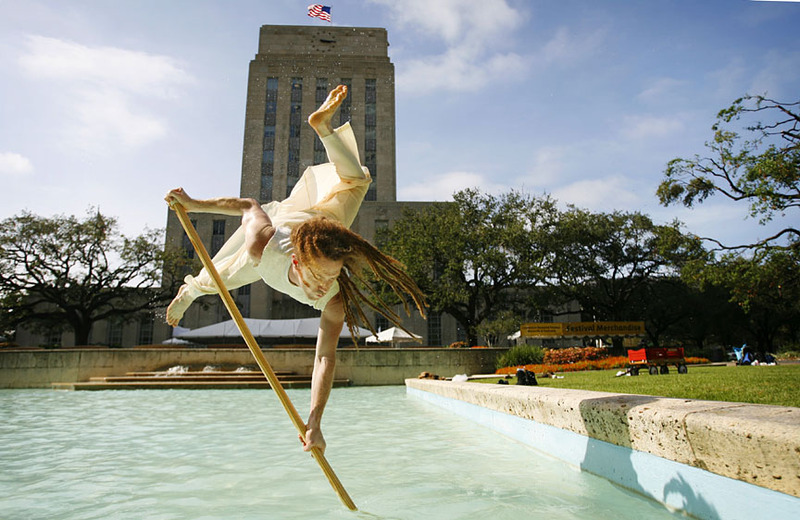 Blake Dalton performs east coast freestyle poling in the City Hall Reflection Pool Oct. 16, 2008 in Houston. Dalton, a member of Core Performance Company, will be performing with other polers this weekend during the Bayou City Art Festival at the reflection pool at the library plaza at 2 pm. HPD Capt. 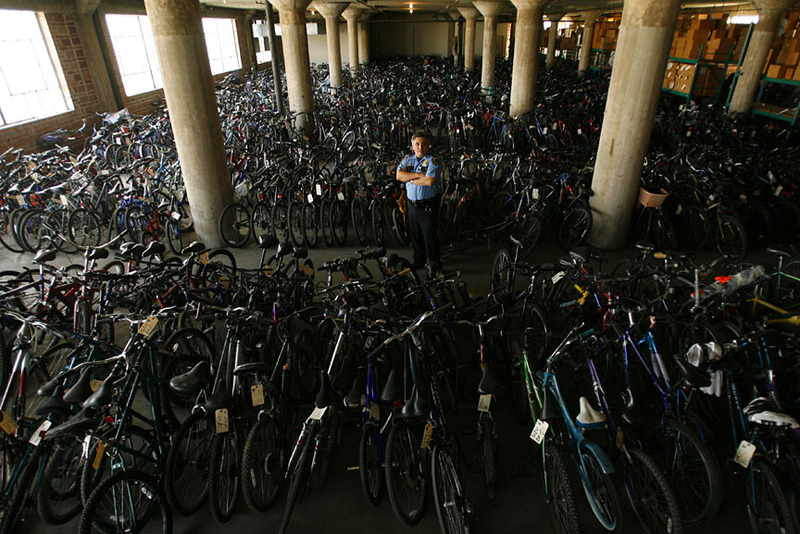 Victor Rodriguez of the property and supply division poses among what appears to be thousands of bikes inside the evidence warehouse Oct. 21, 2008. Houston Police are preparing for the monumental task of moving more than 1million pieces of evidence from its troubled evidence warehouse – packed chaotically into an 80 year old building – to a brand new $13 million building. 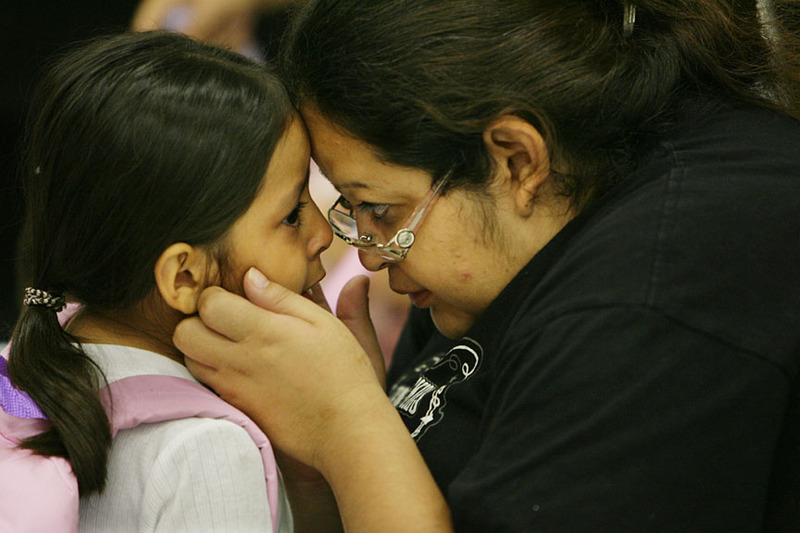 Carey Barrett and Brenda Chapa have a moment after meeting for the first time Oct. 23, 2008 in Houston. Barrett donated his kidney to Chapa last week. 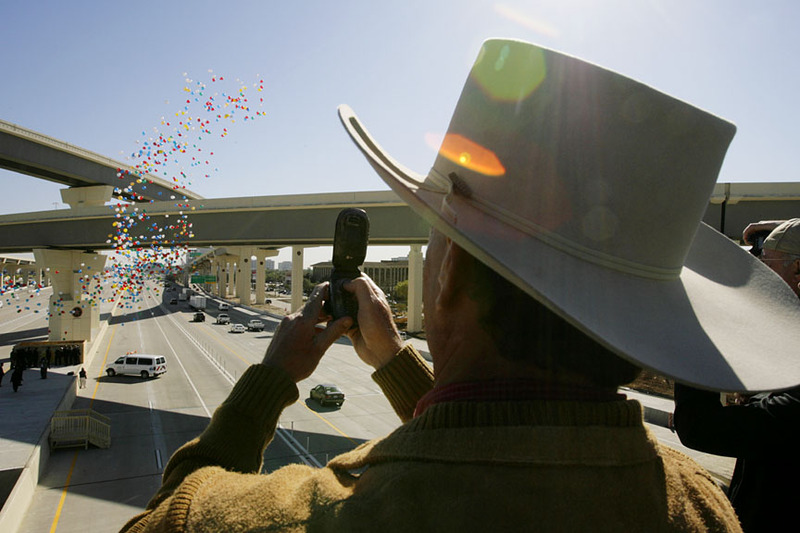 Brett Hubbs, who was a utility inspector for almost five years for the Katy Freeway expansion, takes a picture of balloon release during at the conclusion of a ribbon-cutting ceremony Oct. 28, 2008 in Houston. Harris County Commissioner Steve Radack hands out plungers to passersby at Westcott and Memorial Nov. 4, 2008 in Houston. 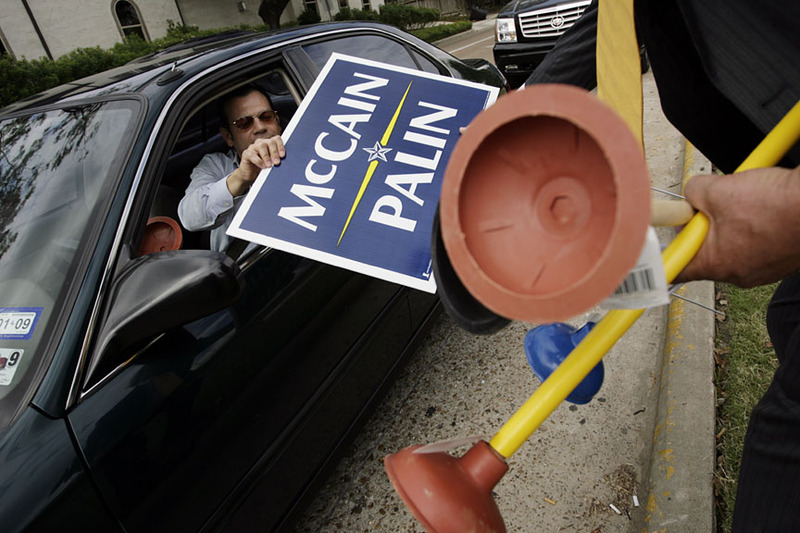 Radack, a Republican, bought more than 1,000 plungers to give away as a reference to “Joe the Plumber” in support of the McCain/Palin ticket. 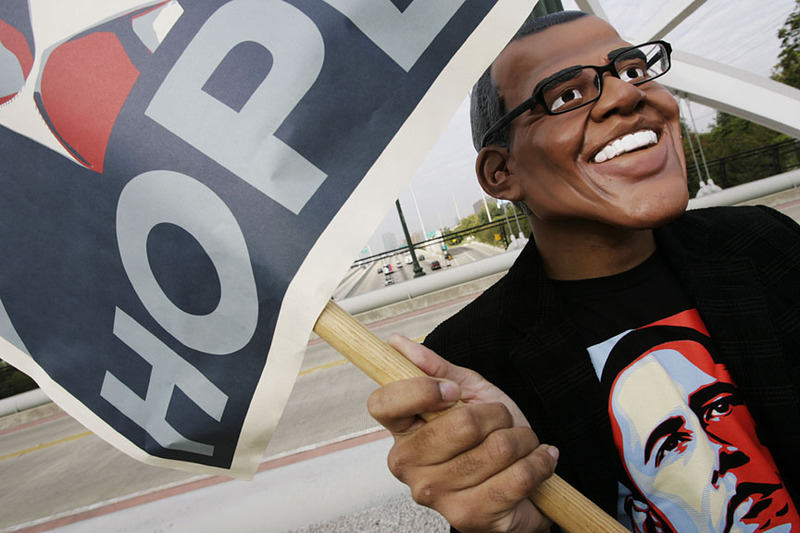 Nov. 4, 2008 in Houston on Election Day.